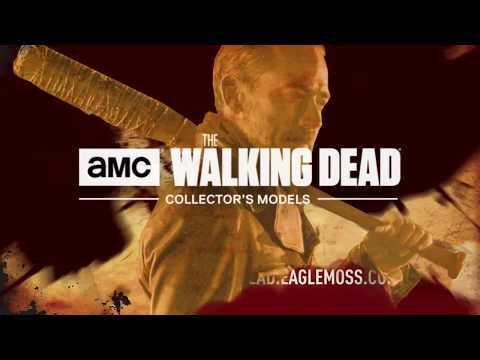 The Walking Dead collector’s models is a new series of 1:21 scale figurines based on the AMC television series. The models cover all the most popular characters in the series, and are drawn from every season, from the moment Rick Grimes awoke to discover that the world had been over-run by walkers to the very latest episodes. Every hand-painted figurine shows the character in an iconic pose and comes in a collector’s box with a 12-page character booklet. The Walking Dead 'The Lost and the Plunderers"
Groups unite their forces and converge on the Hilltop. Aaron and Enid search for Allies. Simon takes matters into his own hands.